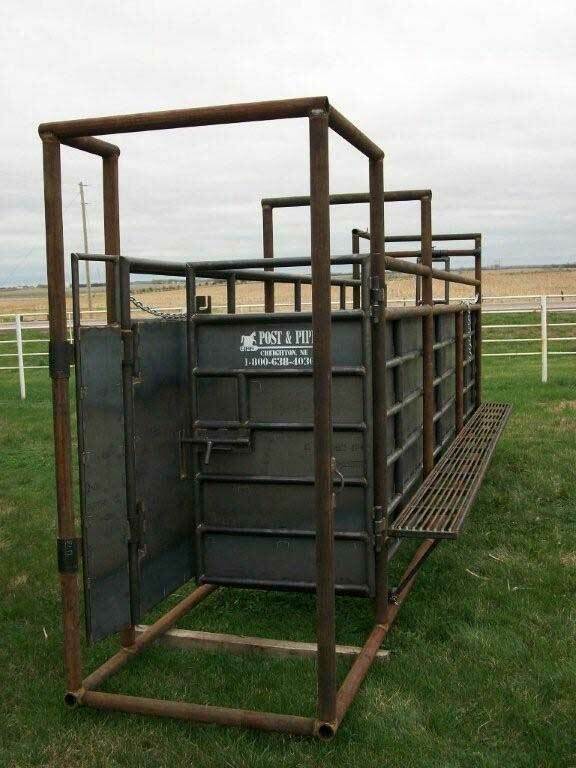 Manufactured in Creighton, NE this heavy duty all steel system saves cattlemen time, money, and effort while working cattle. 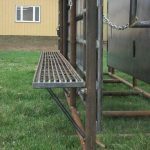 Built to handle all sizes of cattle that can be worked quickly and easily with our single lever adjustment that adjusts the entire alleyway at one time from 32″ wide down to 18″ in seconds. 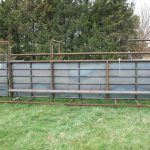 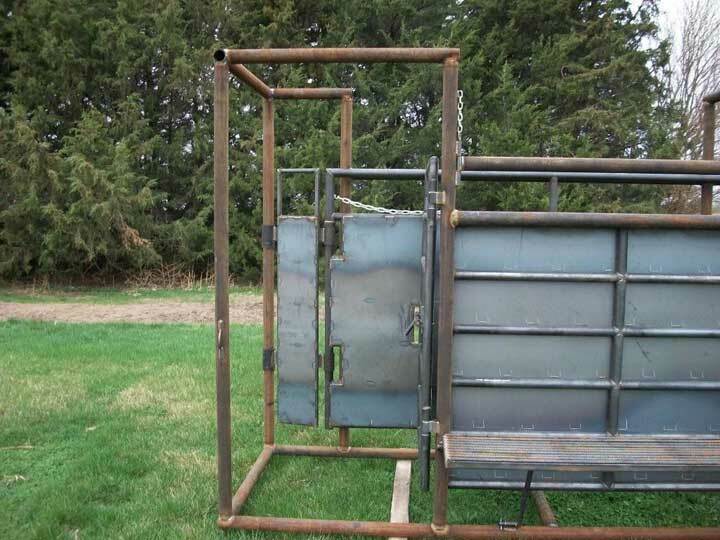 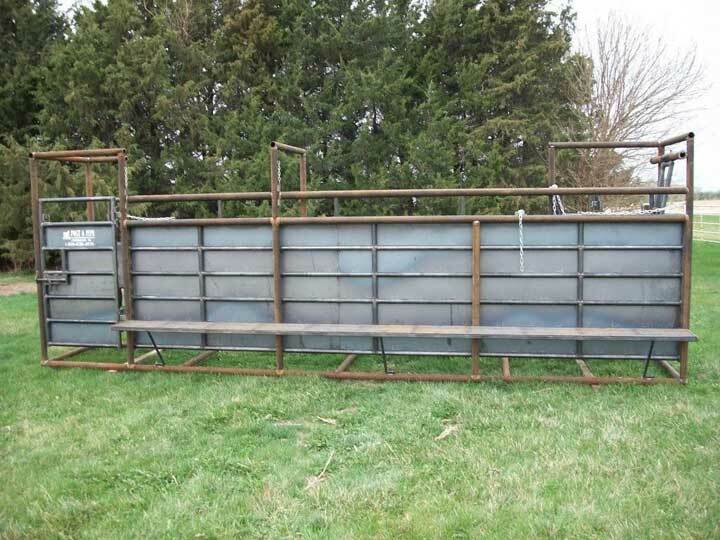 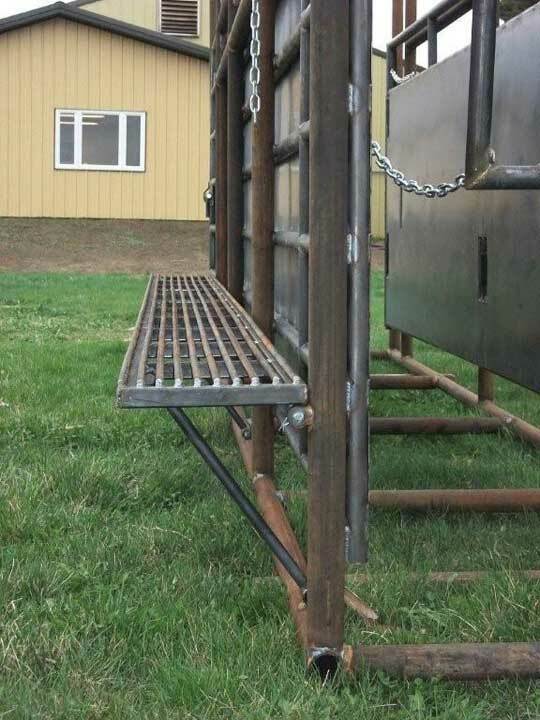 The heavy duty crowding tub is able to be setup to crowd cattle to the left or right depending on your requirements and allows you to exit cattle out of the tub in two different directions. 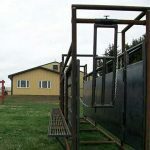 A basic system shown above includes a 10′ radius crowding tub and 20′ adjustable alleyway. 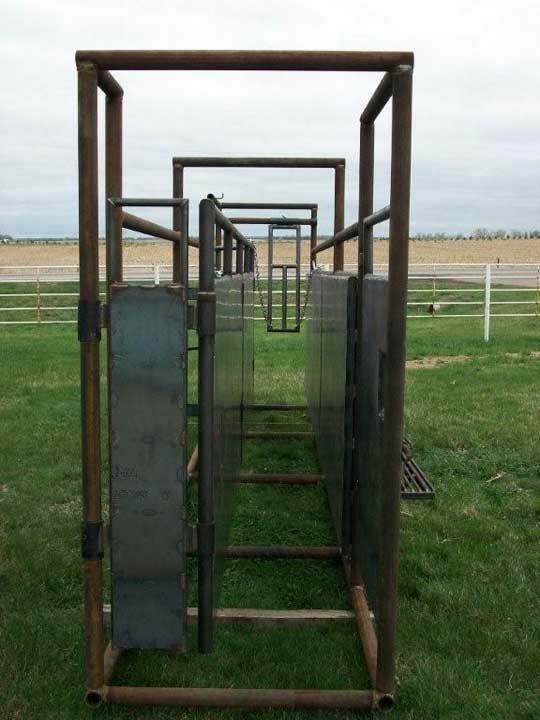 Twin side by side alleyways make a large 6’ entrance enticing for cattle to enter and then transitions the cattle into a single alleyway before entering a chute. 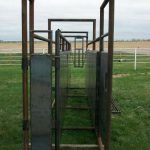 A double alleyway system is a efficient set up for loading out cattle or to keep the flow of cattle consistent for the chute. 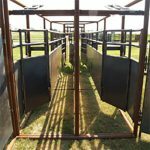 Outside panels are sheeted while on the inside the cattle can see thru, this allows them to see each other but not any of the distractions on the outside. 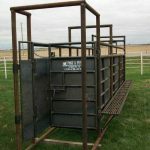 Cattle then remain calmer and compete with each other to get to the chute increasing the efficiency of your operation. 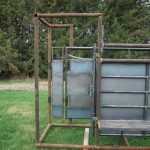 A double alleyway can be paired with a tub as shown above or used with a Bud box depending on your operation.